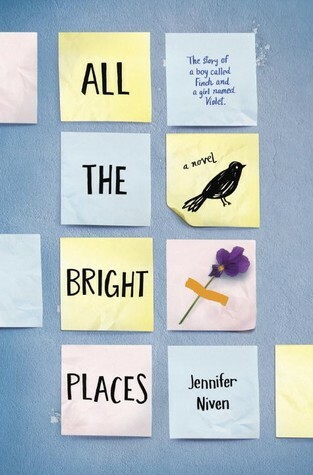 All the Bright Places by Jennifer Niven is a book about a boy and a girl. But not your everyday run of the mill romance. It’s about a boy and girl that really need each other to survive. Not every relationship is perfect and that’s what makes this book so real. Finch is a character who is suffering from some sort of mental illness. It’s never mentioned in the book, but you know it’s what makes him so unstable. It plasters a label on him, and as hard as he might try to stop it, it starts to define him. He’s grown up in a rough household with an abusive father and a mother that turns a blind eye. It broke my heart and really made me feel extreme compassion and sorrow for him. No matter what he did to try to end his life, it went unnoticed. That is until he meets Violet. She was struck with grief after the horrible car crash that took her sister’s life and continues to put blame on herself everyday. She looked up to her sister a lot and now she doesn’t really know how to function without her being there. She counts down the days until graduation when she can finally leave her small town life and start a new. But then she meets Finch and their lives start to change. They’ve found a purpose in life to keep on living. Niven’s writing style is very clear and distinct. We get two totally different contrasting characters that you just can’t help but fall in love with and keep rooting for as the story goes on. She touches on very sensitive subjects like abuse and suicide with such raw realism that really gets you enveloped deep into the characters mind set. This book was fantastic overall. The only issue I had was the frustration with the direction of the relationship, and the pacing of the story near the middle/end before things got really serious. But other then that I would definitely recommend this book to everyone young and old! So I hope you enjoyed my review of All the Bright Places by Jennifer Niven. I hope to see you next Friday with another review!! 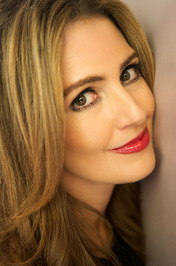 All the Bright Places is Jennifer Niven’s first book for young adult readers, but she has written four novels for adults — American Blonde, Becoming Clementine, Velva Jean Learns to Fly, and Velva Jean Learns to Drive — as well as three nonfiction books, The Ice Master, Ada Blackjack, and The Aqua Net Diaries, a memoir about her high school experiences. Although she grew up in Indiana, she now lives with her fiance and literary cats in Los Angeles, which remains her favorite place to wander. This entry was posted in Menu and tagged Contemporary, Fiction, Jennifer Niven, July, Review, Romance, Suicide, Young Adult. Bookmark the permalink.